From over 200 applications at the beginning of the competition, 3DP has made it to the top spot of Cairo StartUp Cup 2013. After six months of hard work, mentoring, pitching and uncountable challenges, one journey has come to an end only to open up new horizons for Egyptian entrepreneurs. 3DP, an Egyptian startup in the field of 3D Printing Technology has gained several prizes as the winner of Cairo StartUp Cup 2013, which was organized by MCSBE, Nile University and Innoventures. The prizes ranged from financial support, over consultation and legal services, all the way to working spaces. 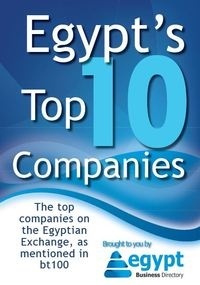 “The main criteria of choosing the winners were the project’s community and social impact, ability to secure customers, enter the market, reach more with less money and the overall progress they had made throughout the competition,” Dr. Nezar Sami, one of the Judges at StartUp Cup told Egypt Business Directory. “Cairo StartUp Cup turned our idea which was only present on paper into a business. Winning the cup is a great motivation for us, especially that this is the first competition we participated in,” Ahmed Atef from 3DP said. The top seven teams walked away with different prizes from various organizations. The Workshops, for instance, got an investment of $12,000 on the spot, as the idea seemed to have impressed one of the attending investors. “We need to understand that all the startups here have great potential and a bright future ahead of them, no matter who came in first or second place,” Ayman Saeed, organizer and mentor stated. “The next step is how the top 7 teams will take it further to grow their businesses and scale it up,” Sami concluded.